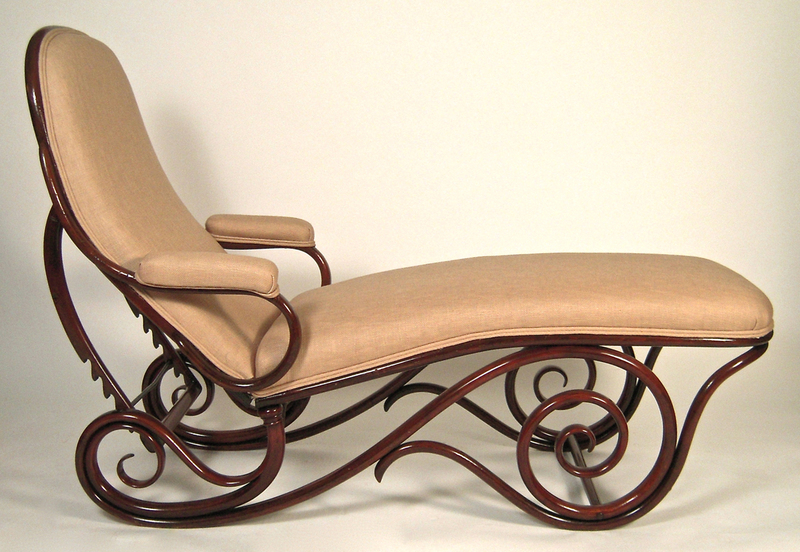 Andrew Spindler Antiques & Design Essex, MA 978-768-6045 info@spindlerantiques.com A Thonet Bentwood Chaise Longue, the new linen upholstered seat, arms and adjustable back over an exuberantly scrolled base. The ratcheted back support allows for a wide range of angles for lounging. Austrian, circa 1880-1910. Height: 40 3/4" Length: 57" Width: 25 7/8"